This strange, nauseating fever dream that we call modern life continues to reveal new horrors. For example, as promised, Kanye West met with Donald Trump today. Now, there is a long and excruciating video to prove it. Via the Huffington Post, you can now watch a long one-on-one meeting between two of the most newsmaking egomaniacs of our time. 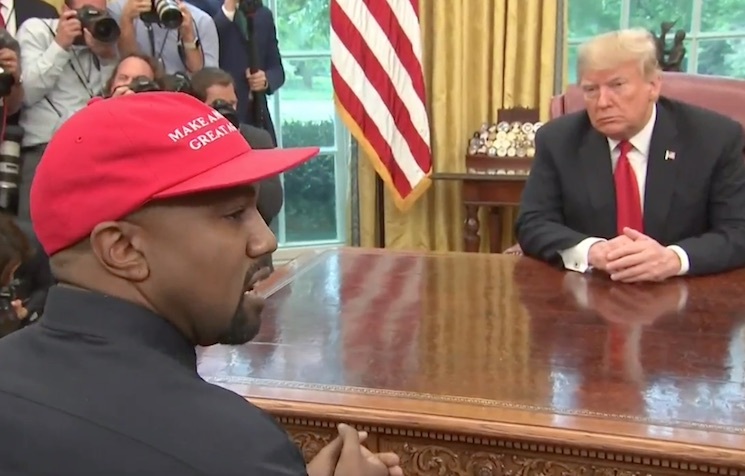 As could be expected, their meet-up mostly included a 10-minute monologue from Kanye, where he discussed the pushback he's received for wearing his MAGA hat, as well as his life spent keeping up with the Kardashians.